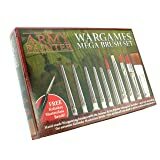 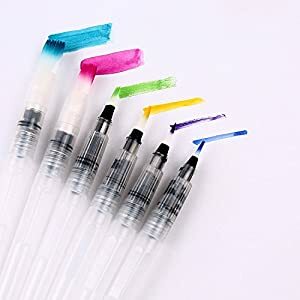 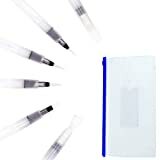 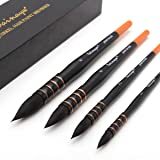 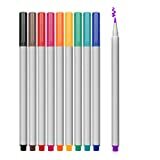 SET OF 6 BRUSHES: Set of 3 point tip brush pens and set of 3 flat tip brush pens (small, medium, large) suitable for art students, amateur and professional artists. 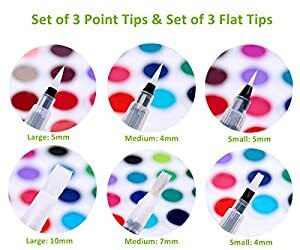 NO SPREAD OR SMEAR: High quality nylon hair brush tips that stay intact and does not spray, spread, or smear while in use. 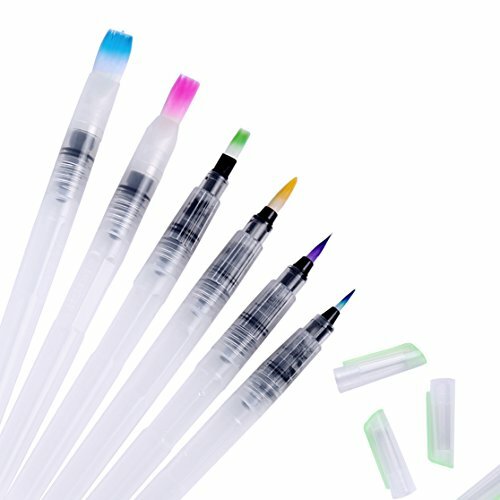 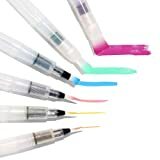 EASY TO USE: Simply to squeeze barrel to easily control the ink or water flow. 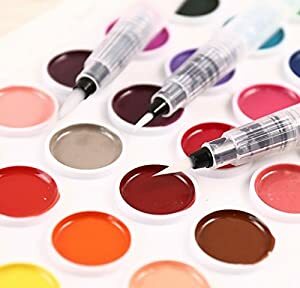 To use, blend with water, add ink to barrel and enjoy! 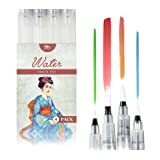 (Note: Please make the water less than 2/3 of the pen's volume when filling water into the pen). 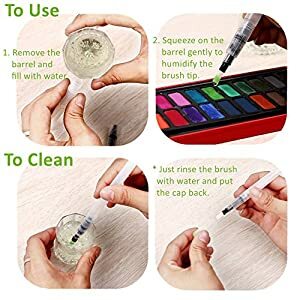 EASY TO CLEAN: Just clean it with water after used. 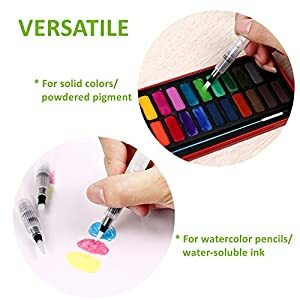 MULTI-PURPOSE: Can be used for solid colors or powdered pigment, use with aquash watercolor crayons, markers, and pencils to spread and smooth colors. 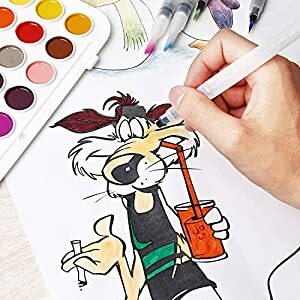 Este producto fue vendido por última vez el 23/12/2018, 07:59 p.m.